The toughest truck on earth – the Toyota Hilux - received a cool Gazoo Racing rework for Brazil. Introduced at the Sao Paulo Motor Show, the Toyota Hilux Gazoo Racing represents something one may even consider a Ford Ranger Raptor competitor. Yet, aside from being really cool, the Toyota Hilux Gazoo Racing introduces the whole GR brand in Latin America. Introducing it with a popular truck is only expected. Nope, as I have said numerous times before, we in the U.S. do not have access to the Hilux. Not even to special versions like the Invincible 50 I wrote about only days ago. 50 years have passed since the introduction of the first Toyota HiLux. The Japanese company is celebrating this wonderful achievement with the production of the limited-edition HiLux Invincible 50 which will be available in the U.K. from the 1st of November. The new HiLux Invincible 50 comes with an assortment of upgrades that dramatically improve the looks, increase its capabilities, and once again demonstrate the “tough as nails” character of the most badass truck in the world. This is the truck that conquered everything and proved time and again that it is the only vehicle to be a perfect companion in a calm Swedish village, a tool in the remote parts of Mongolia, and a freaking war machine in Africa. It can do it all. Celebrating the 50th anniversary with a version like this is the least Toyota can do. Well, I have to tell you that this is not the only way Toyota is celebrating the HiLux anniversary. It actually unveiled a whole set of Invincible vehicles and provided a trim called the Invincible x. This particular model - the Toyota HiLux Invincible 50 was created in cooperation with Arctic Trucks - an Island-based company famed for its extraordinary transformation of HiLux trucks into incredibly worthy off-road machines. You may have heard about this company as they’ve actually crafted trucks that the TopGear team used to reach the North Pole. They were HiLuxes too. The Toyota Hilux pickup receives several new trims for the 2018 model year. These include three new SR cab-chassis variants, a new WorkMate grade for the 4WD Double Cab-Chassis, and the Hi-Rider option on 2WD trucks is now offered on the WorkMate Double-Cab, SR Extra Cab, and the SR5 Double Cab. What’s more, the availability of an automatic transmission expands from 12 models to 17 models. In other words, there are now more choices for customers. This is the first change Toyota has brought to the Hilux since the current generation’s introduction in 2016. It comes in part as a response to changing customer wants as the expectation for higher comfort levels increase, while the need for work-grade trims holds steady. In fact, Toyota saw more than 60 percent of new Hilux sales have automatic transmissions – a first for the rugged pickup. Toyota has now been building the Hilux pickup for 50 years. That’s a half-century of history made and a reputation built. Of course, most know the Hilux as an indestructible mid-size pickup that sells in nearly every country around the world – 190 countries, to be exact. 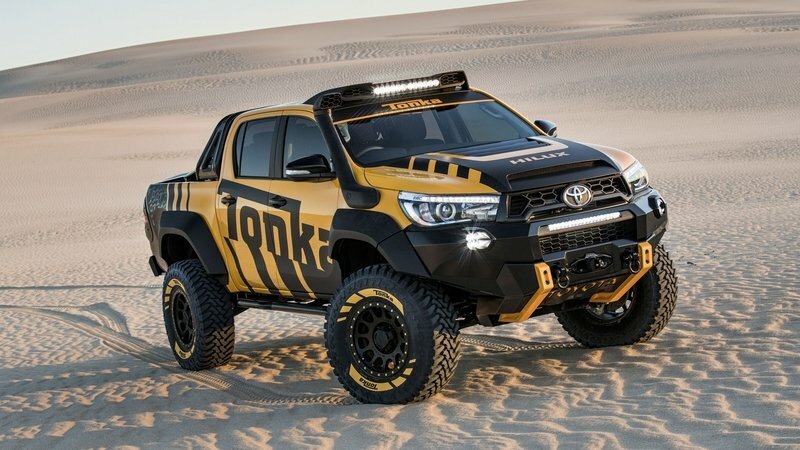 Well, to celebrate the Hilux’s golden anniversary, Toyota has put together a one-off show truck called the Hilux “Invincible 50.” The automaker then chose the 2017 Frankfurt Motor Show to display its self-congratulating concept. Toyota started with a Double Cab Hilux and added several Toyota-branded aftermarket parts customers can typically find at a Toyota dealership. There is also a custom wrap designed to grab the attention of show-goers at Frankfurt, too. The truck is designed to be at home both on the job site and doing fun weekend-style activities. Toyota’s marketing hype says it’s “ideally suited to a broad range of both professional and leisure activities.” Perhaps that means the cargo box holds hammers just as well as camping gear. Either way, Toyota certainly has the right to celebrate the Hilux’s 50 years in production. 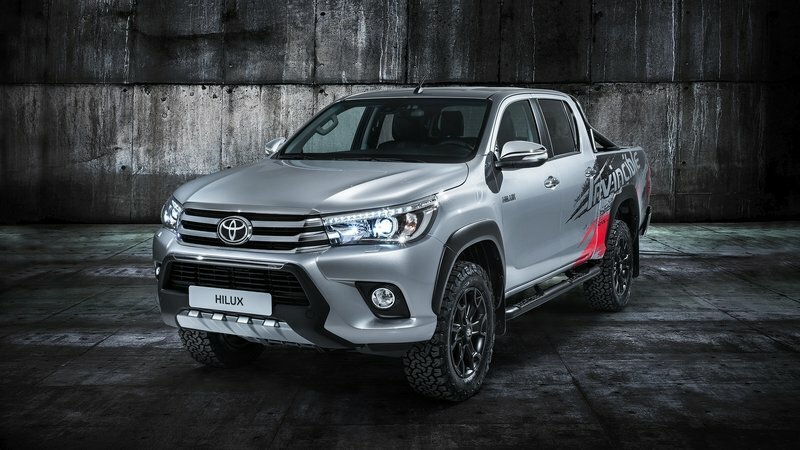 The long wait is over – Toyota has released an all-new version of its immensely popular Hilux truck. Set as a 2016 model, the pickup truck is said to still carry all the rugged reliability that makes a Hilux a Hilux, while adding more creature comforts and interior refinements. That should bode well with truck folks in the 180 countries the Hilux calls home. The long wait is over – Toyota has released an all-new version of its immensely popular Hilux truck for the 2016 model year. The new eighth-generation truck carries a completely new exterior design that looks more upscale than the seventh generation, including plenty of chrome accents, LED-encrusted headlights, and a more cohesive overall design. 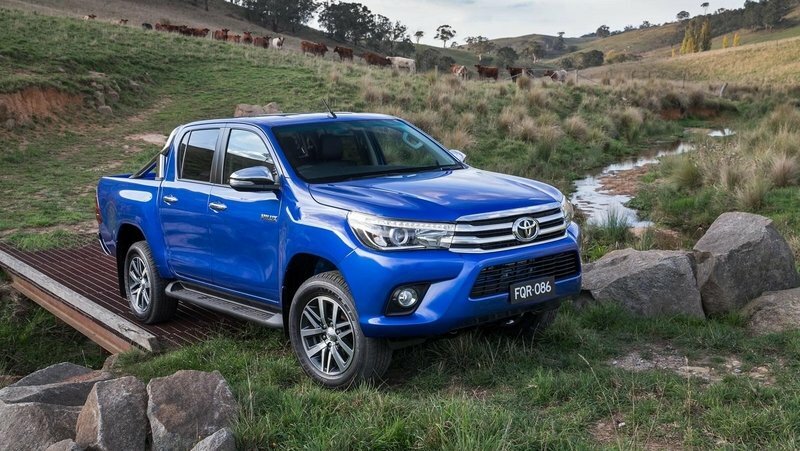 The updates are far more drastic within the Hilux, as the truck now features a more refined cabin with a dashboard that hints at inspiration from the U.S.-spec Corolla. Toyota is offering a wide selection of powertrains, though choices will be limited for each market. The truck also gets a pair of new transmissions, with the manual gearbox offering active rev matching like the Corvette’s seven-speed manual. This makes the Hilux the first truck application for such technology. The pickup truck is said to still carry all the rugged reliability that makes a Hilux a Hilux, while adding more creature comforts and interior refinements. That should bode well with truck folks in the 180 countries the Hilux calls home. Despite the new creature comforts, Toyota says the Hilux is still as rugged as ever and ready to handle what customers throw at it. 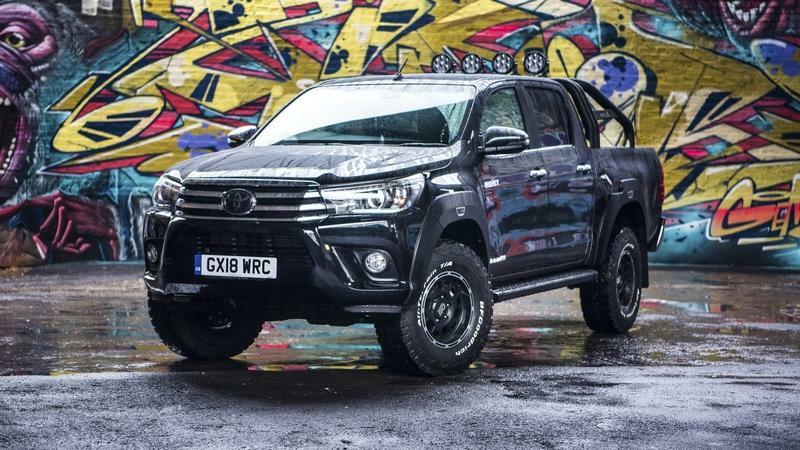 More than 16 million Hilux trucks have been sold since its introduction in 1968, so undoubtedly Toyota is doing something right, and this new-gen model should help keep the ball rolling for a few more years. With that said, check out our full review below to learn everything there is to know about Toyota’s new Hilux pickup truck. UPDATE: 05/21/2015 Toyota has just unveiled the all-new 2016 Hilux pickup truck. 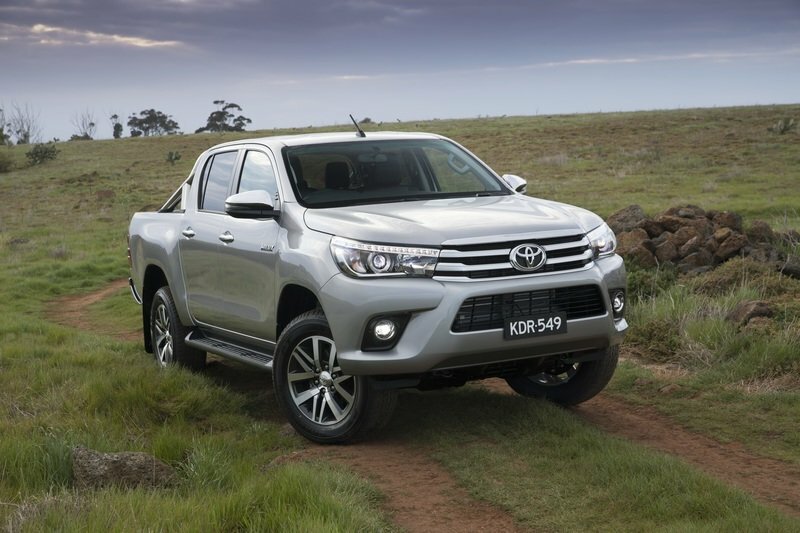 Click past the jump to read more about the 2016 Toyota Hilux. The Toyota Hilux is one heck of a truck. Remember the one Top Gear tried destroying by seawater, fire, and ramming stuff? I mean, the truck even has a trim level named after its long-living reputation. Now that trim level gets a slight makeover. Meet the Invincible X – a customized version of the truck’s top trim level. Only available in the four-door Double Cab powered by the more powerful 3.0-liter diesel, the truck gives customers the upscale looks they want without sacrificing the utility and indestructibility of the standard Toyota Hilux. The options begin with four different wheel designs, all measuring 17 inches, and continue with the “hi-over” roll bar, step bars, skid plates, bumper guards, and chrome accents. The interior gets its own list of options that include four color choices for the leather seats along with all the available options found on the standard Invincible trim level. 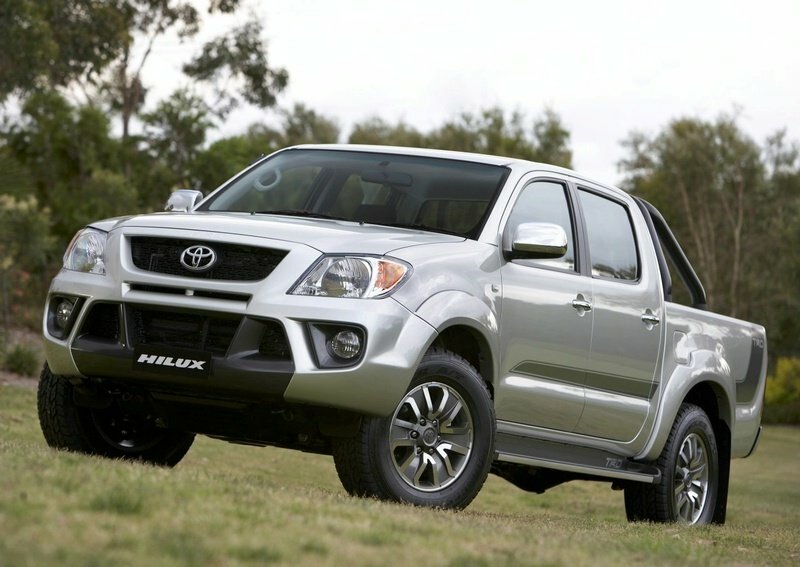 Click past the jump to read more about the Toyota Hilux Invincible X. 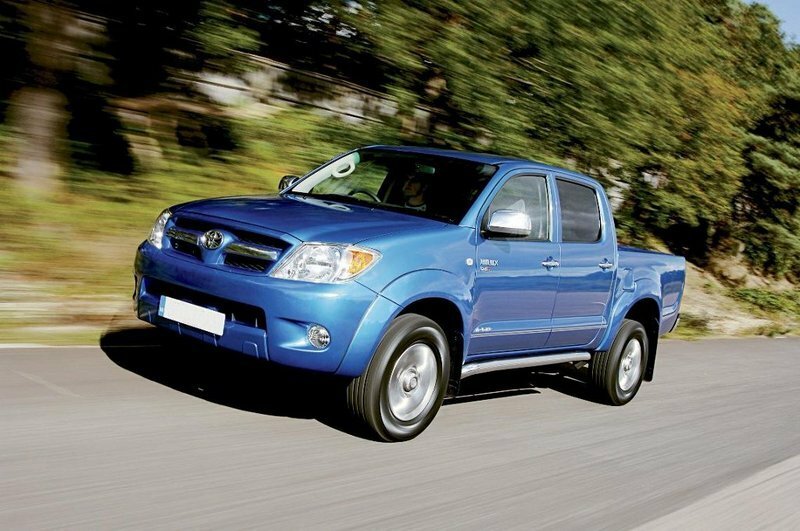 Known for being one of the most durable pickups in the market, the Toyota Hilux has been one of Toyota’s most bankable vehicles. 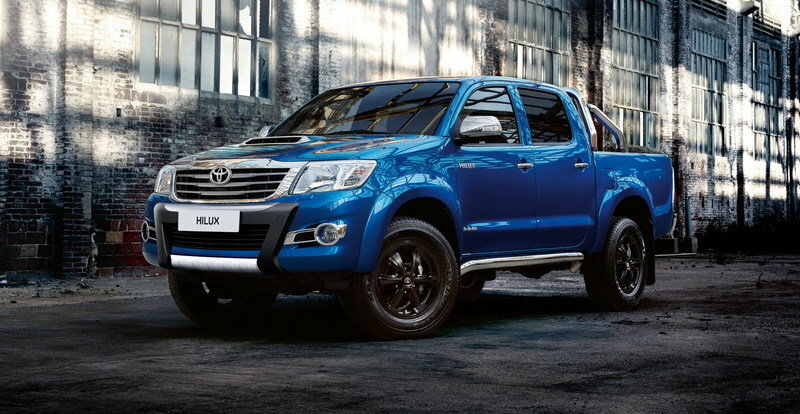 It’s only fitting then that a special edition model of the renowned pickup is set to carry the name Hilux Invincible. As the top-of-the-line grade of the Hilux lineup, the Invincible model will be made available on either an Extra Cab or Double Cab body styles and ‘Active’ or ‘Sport’ versions. It’ll come with a host of exterior features that will be unique to the Invincible trim, highlighted by chrome detailing on the air intake, the fog lamp, and the rear lamp bezels. A silver front underguard was also added to complement all the chrome trim while "Invincible" badging is prominently displayed throughout the body to ensure nobody forgets this Hilux’s name. If you get the Hilux Invincible Sport version, you also stand to receive chrome hi-bars and the option of availing a new set of 17-inch dual alloy wheels, and black leather-wrapped seats. Adding to its distinctive looks, the interior of the Hilux Invincible also catches copious amounts of upgrades. Black fabric seats are particularly noticeable , as are the soft padded armrest, the leather-covered handbrake, the light grey roof lining, and scuff plates bearing the ’Invincible’ badge. The Hilux Invincible is available with a pair of engine options, ranging from a 2.5-liter D-4D engine that develops 161 horsepower and 295 pound-feet of torque with manual transmission and either 2WD or 4WD to a 3.0-liter D-4D unit that produces 169 horsepower and 253 pound-feet of torque. Expect the Hilux Invincible to hit dealerships all over Europe beginning the later part of this year. Toyota spent some time making small changes to their Hilux model to increase the performance from the year before. 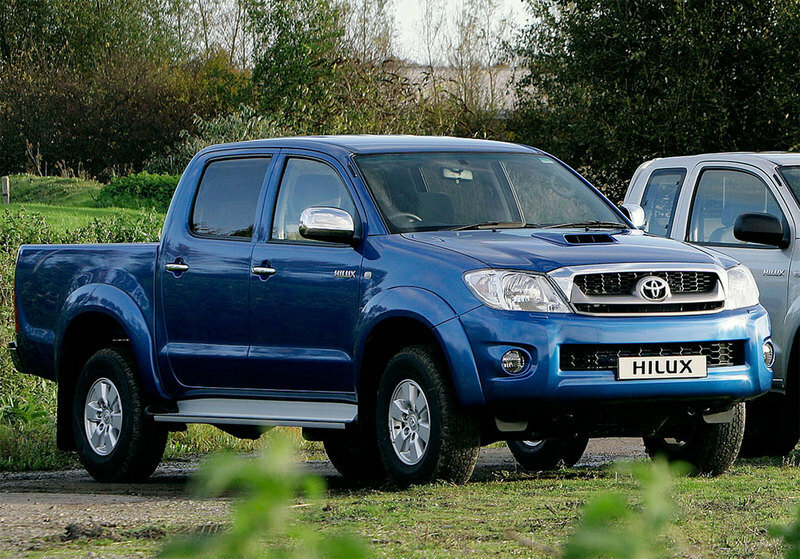 The 2010 Hilux had the ability to go 24HP more than the 2009 model and went from 0-60mph 2.5 seconds faster. For a pickup, those changes were enough to put a smile on some people’s faces. For those other people, well, we have a solution for them as well. It’s not everyday you have the chance to see a tuned pick-up, but Unichip has prepared a tuning package for the Toyota Hilux. 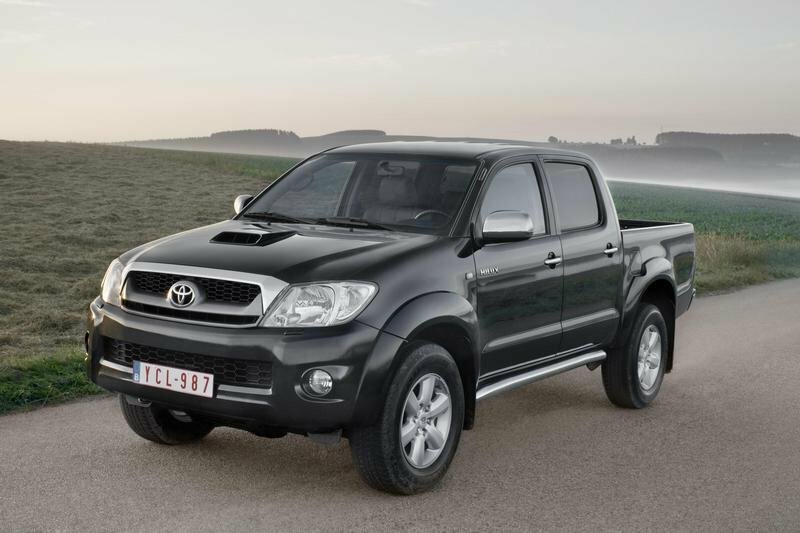 While in its standard version the Hilux develops a total of 155 HP. Unichip has raised that output to a total of 180 HP. The peak torque has also been increased to 400 Nm at just 3000 rpm. The Hilux 3.0 D4D Uni-Q comes pre-programmed with the specially developed ECU map settings for fueling and turbo boost settings, making for an easy and quick performance enhancement proposition – it’s simply a case of ‘plug, play and drive away. The U-Connect package is applicable to all Toyota Hilux 3.0-litre D-4D models with the part number PPTOY15.1 and were produced from 2005 onwards. The price for the package is £465.30. Toyota of Europe has just released details about the 2010 Hilux pickup truck, the versatile work vehicle is now available with a range extending new and improved 2.5 Liter D-4D diesel for the 4WD versions whose output has been increased by a total of 24 HP and is can be yours in any cab configuration. As a result, the Toyota Hilux 2.5 D-4D 4WD is now able to go from 0 to 60 MPH 2.5 seconds faster and can go almost 10 MPH faster than last year’s version. The top of the line version, the Invincible Double Cab is available with a powerful Toyota 3.0 D-4D engine and creature comforts like leather upholstery, satellite navigation and hands free Bluetooth wireless connectivity to make one pretty luxurious pick up truck..
Toyota today revealed official details on the 2009 Hilux (there are only minor differences between the Euro-spec Hilux and the U.S. Tacoma.) The pick-up gets a new trapezoid front grille, redesigned bumper and newly designed 15” alloy wheels on Double Cab SR models and new 17’’ alloys on Double Cab SR-X. 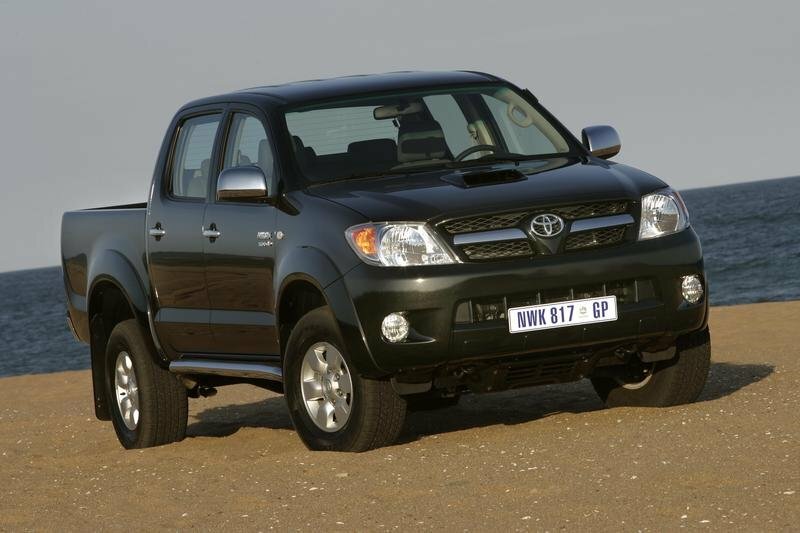 The biggest engine news for the 2009 Hilux are the two diesels: 2.5-liter and the 3.0-liter. The 2.5-liter engine, has 120 hp and 325 nm of torque, is available as two-wheel-drive or four-wheel-drive versions, both with 5-speed manual transmission. The 3.0-liter, only available on the Double Cab, is rated at 171 hp. 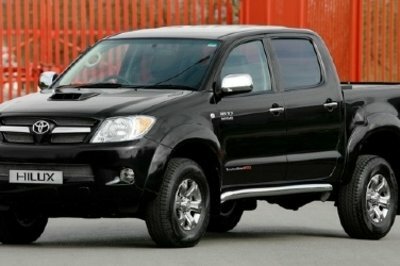 Toyota launched in UK the Hilux Invincible 200 limited edition. Toyota will only build 500 units that will go on sale on July 1st. The Hilux Invincible 200 Double Cab is equipped with a Toyota Motor Sport diesel engine performance kit that transforms the performance of the 3.0-litre D-4D engine. Power is increased from 169 to 194bhp (171 to 197 DIN hp) and maximum torque rises from 343 to 430Nm, generated all the way from 1,600 to 3,200rpm, making the Invincible 200 more powerful than any of its market rivals. What’s more, the hike in output brings no penalty in fuel consumption or emissions compared to the standard Invincible. The new Hilux flagship enjoys a superior specification, too, with exclusive two-tone leather upholstery, heated front seats, steel mesh front grille and black metallic paint finish. These are in addition to regular Invincible features, including darkened rear privacy glass, full-map touch screen satellite navigation, scuff plates and metallic finish alloy wheels. 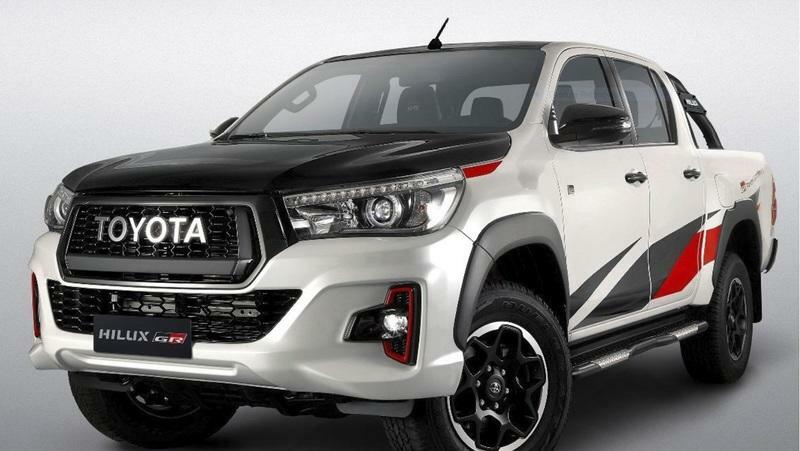 Toyota Australia unveiled a final pre-production version of the supercharged TRD HiLux at the Australian International Motor Show in Sydney. TRD HiLux will be the second vehicle in the TRD line-up, following the launch in August of TRD Aurion. 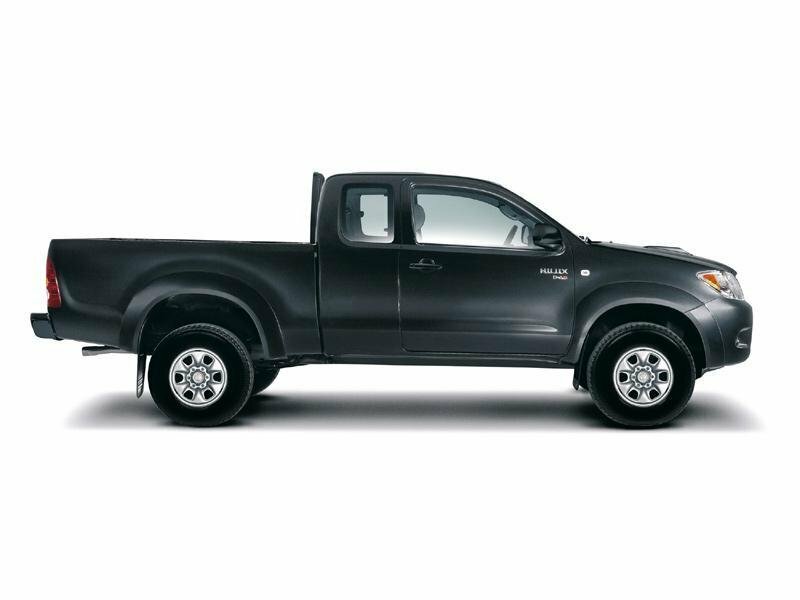 The 2007 Toyota Hilux is launched with a powerful new range of diesel engines and styling enhancements to offer today’s customers a pick-up that will truly suit their choice of work, leisure or adventure lifestyle. These days the onset of autumn is defined as much by the start of another season of The X Factor on television as by the prevalence of any mists or feelings of mellow fruitfulness. This year Toyota is following the popular trend by presenting a new star model of its own for the nation to enjoy, but without the chore of having to phone in any votes.